We are big fans of CBeebies and it was inevitable that Erin would follow in this fashion too. Currently one of her favourites is In The Night Garden which I think is perfect for her age group (16 months). She's too young to know what's going on - and to be honest, none of us know what's going on there so it's perfect! She loves all the bright colours and the characters - she will sit through an episode clapping her hands and giggling to herself. 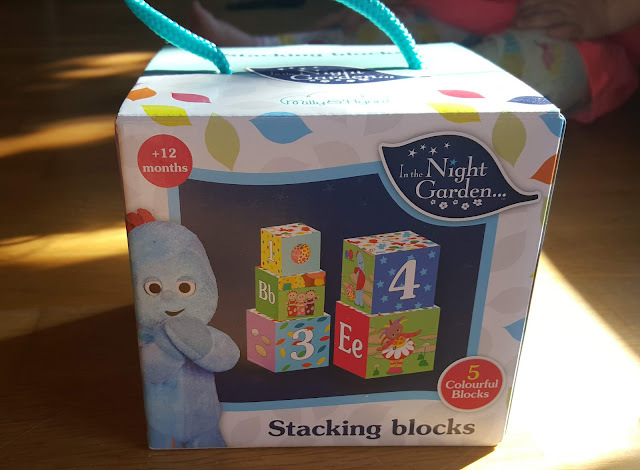 We were recently sent a set of gorgeous In the Night Garden stacking blocks from Hacche. When they arrived Erin couldn't wait to get them open and start playing! 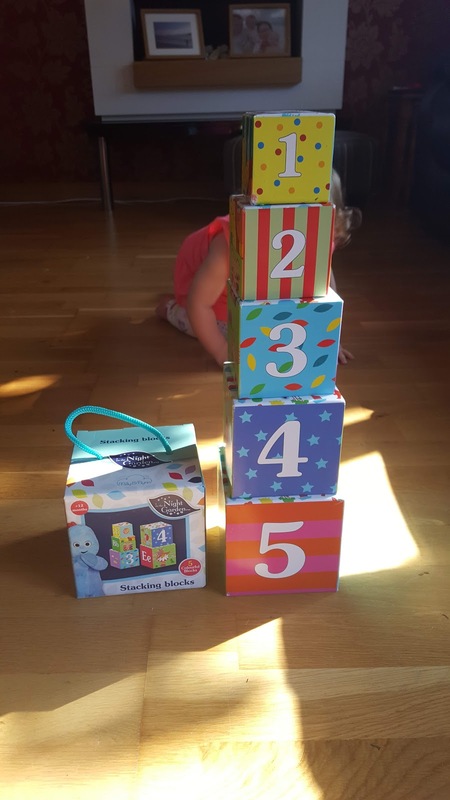 Suitable from 12 months +, the five stacking blocks are made of sturdy cardboard and are lovely and colourful. 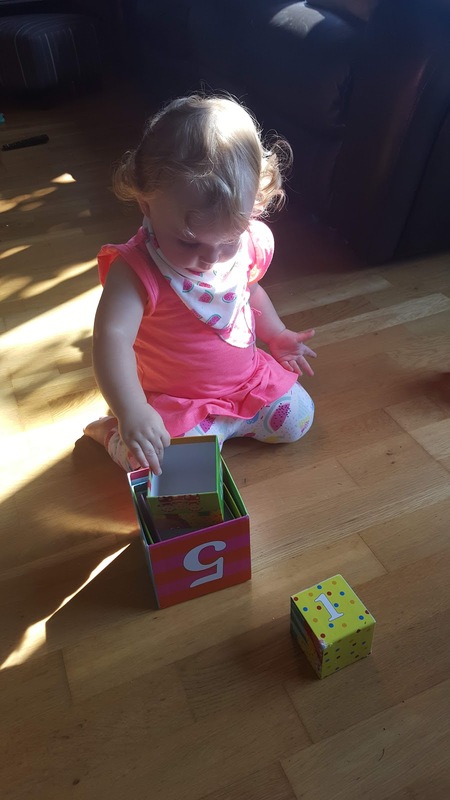 Featuring bright and eye catching images of numbers and letters, the blocks are a fab introduction to counting and colours. One of the sides features the famous characters from the show and if you line the blocks up carefully they will create a larger image. Erin really enjoyed playing with these - her favourite thing is to let someone stack them up for her, and then she takes great pleasure in knocking them down! The blocks also fit nicely inside each other so she spends a great deal of time putting them in and taking them out again. Elliot has also had lots of fun with these - although sometimes he can't get them built up quick enough with demolition Erin around! The only negative thing I'd say about the blocks is that they are made of cardboard and not plastic. Although the cardboard is nice and sturdy, Erin has had a chew on some of the corners and they are starting to look a little ragged. At this age, everything goes in the mouth so it would have been easier to have them made from something a)wipe clean and b)not chewable! Aside from the material, I love the colours and patterns on these and they would make a lovely gift for a toddler. We have had ours a few weeks now and Erin has had lots of play out of them. I'm sure they will continue to be a favourite!